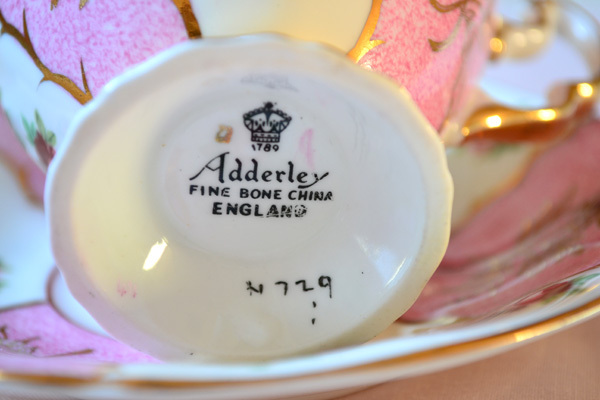 go through our china and pick out some cups to share with you. 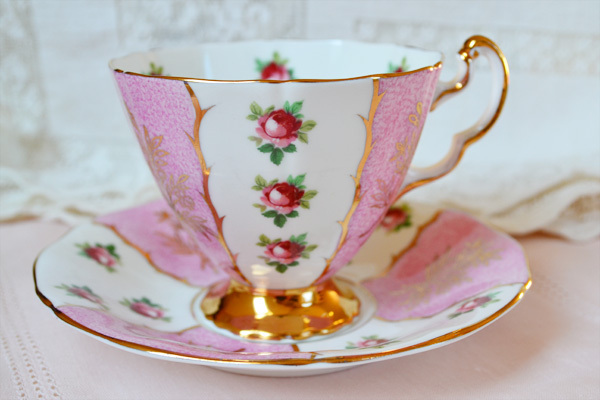 Today, I am sharing a beautiful cup with you that did not belong to me long, as I purchased it for a tea cup swap. I looked and looked until I found this one. I had begun to loose hope, but there she was...sitting pretty on a little doily in an antique shop....waiting patiently for me to come and choose her. I am hoping that she is very happy, and the lovely lady who received her is equally as happy. She does have a very pert position, leading me to think she is a very proper cup. Sent along some lovely chocolates, teas, honey, and tea strainer. The deep red and pink roses are gorgeous. The handle very curvaceous and sweet in gold trim. 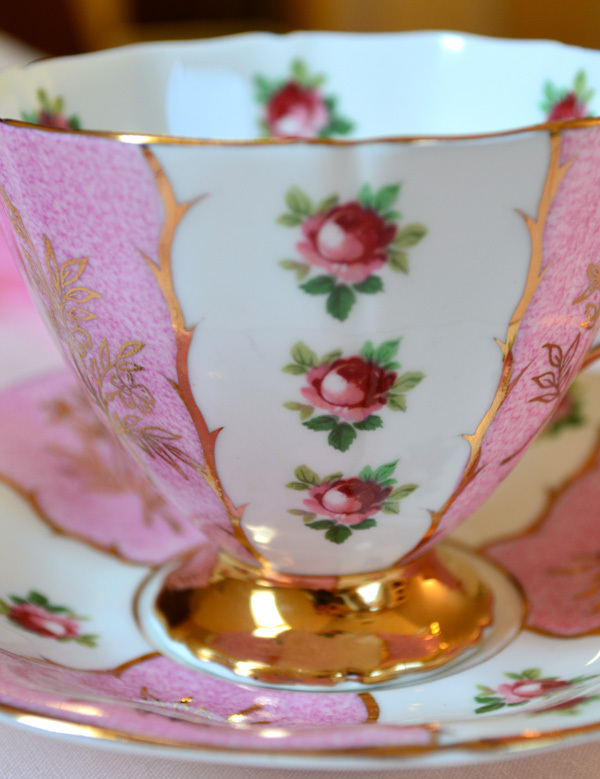 I do believe Marie Antoinette may have enjoyed using a pretty cup like this one. Here you can see her high gold footing. Did any of you guess she was an Adderley? Affirmations has had a makeover as you can see. I hope you enjoy it's new format. Here is a mailbox I have created to hold all my Valentines! I had so much fun making it, I made a new video of it to share with you! If you want to join in Tea Cup Tuesday, just go and create a post with your tea cup in it and then come back here and link up below with that post's URL. And then Martha and I and everyone else can come and see your beautiful tea cup too! Hi Terri. LOVE your new header! So pretty! And your teacup is absolutely gorgeous! Your Valentine mailbox is so cute. You are so talented! Terri sua xícara Pink é simplesmente divina!!! Terri, I LOVE this cup! 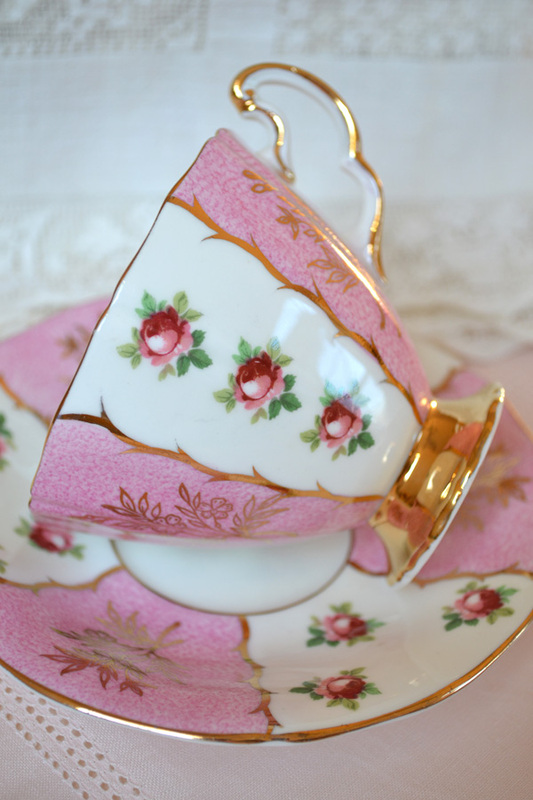 My next teacup must be pink...I'm so in love with it! Thanks so much for hosting. I LOVE your new header! How elegant it is! Your valentine box is adorable too and what fun to put valentines in that. Now, about that cup. How pretty she is with her lovely roses and shapely handle! It must have been hard to part with her! Hi Terri....That cup is absolutely, unequivocably, utterly gorgeous. I LOVE it. Lucky lady who received it. Your video? Darling. What a great idea. Your teacup is exqusite and I adore your mailbox! Thanks for the video your projects are always so fun! 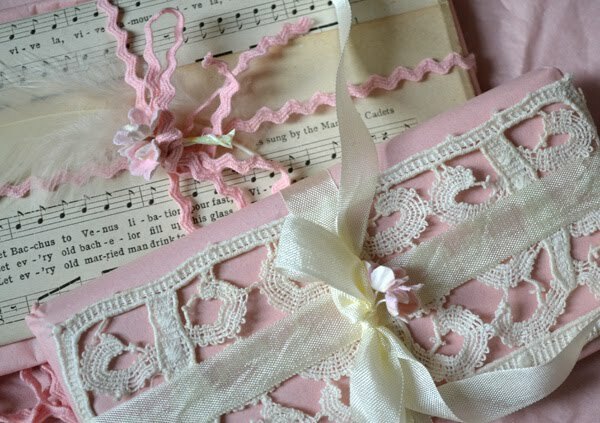 Those roses and panels of pink are wonderful. What a lovely gift. The person who got your lovely teacup is very blessed! It certainly must have belonged to someone very important and equally graceful. I love the Valentine's mailbox! You are so creative! Beautiful teacup - so unique and lovely! The Valentine's box you made is awesome! Thank you for hosting the party!! Hi Terri! That teacup is the most beautiful one I've ever seen! What a stunning cup and saucer. the new header is just perfect for Artful Affirmations. Love the colors and the style. I am sure the Lady who received this tea cup is very lucky. The tea cup is a beauty. All you do is so artful, the tea cup as much as the wrapping and the lovely Valentines box. Thank you for sharing your Video. I hope you will receive a lot of Valentines cards. Terri, such a sweet cup! And the swap recipient - so lucky. Beautiful cup ... perfect for Valentine's Day and Marie Antoinette! I'm sure, where ever this teacup is, it is loved! Happy Tea Day! Such an elegant cup! How does one participate in a teacup swap? Sounds fun - don't you just love getting presents - but more the fun is planning and giving them! Sickness in my house today, Terri, so I've featured a Pinterest teatime - back in gear next week for Valentine's teatime! Wow..what a beauty!! !Pink Blissfulness...truly charming..love the shape of it! Thanks for another gorgeous post! Hi Terri - Love your new header, it looks great! The pink teacup you parted with is really pretty, and wow, your pink valentine mailbox you created is so unique and real adorable! You're so inspirational. That is such a beautiful cup! I don't see many that are all pink and I love this! What a pretty tea cup Terri! I love the Valentine mail box you made too. Thank you for being such a gracious hostess. How completely sweet! Thanks for brightening this gray January day. Holly M.
Your blog facelift if PERFECT. I love the soft color and your artful designs! The beautiful cup is a delight. She is very feminine and looks as though she is dressed for the ball in a beautiful pink gown with lovely rose buttons all down the front. You created a beautiful Valentine's mailbox that anyone would dearly love. I hope you get many beautiful cards. So beautiful and dainty! Every time I see your cups, you make me wanna start the tea kettle! Hi Terri! Your new header is superb! So artful, just like you. That beautiful cup is like a queen among cups. She's so beautiful. I'm sure the lady who received her must have been so pleased. And, yes, I do believe Marie Antoinette would have been quite happy to drink from her. My mother has a lovely collection of cups. So, I have learned to appreciate them from her. Yay Terri! Look at your New Blog Look! Just Gorgeous! I Grabbed your New Button too! I Like both of your Buttons so I think they Will Both Stay on my Sidebar! Thank you Terri for your kind comment on my Teacup Tuesday post. I am not a regular but love to share a new addition whenever i get teacup fever. 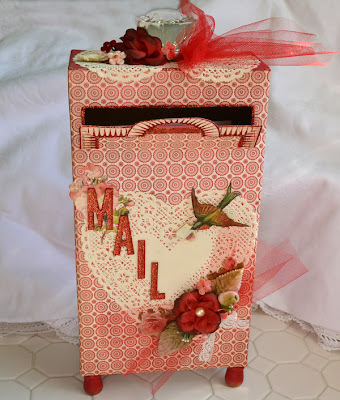 Your Valentine mailbox is exquisite and it reminds me so much of Victoriana. Great job. Absolutely divine teacup Terri! You have a beautiful way with romance...I am always dreamy when I visit you! You are just absolutely darling! I watched the complete video and loved it. What a fun project! You're so sweet to share it with everyone too. Dear Terri, this is the sweetest mailbox,ever seen. I love what you did, and all the beautiful details you added. 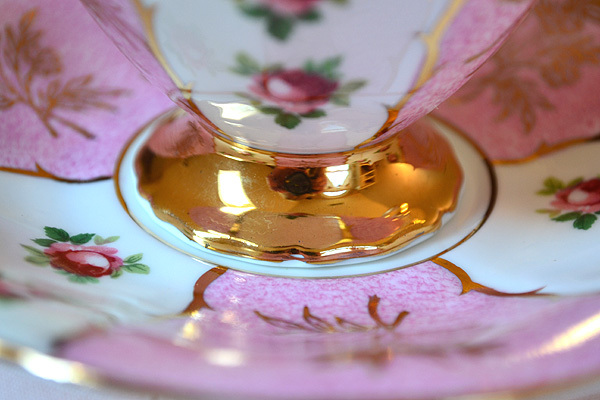 And what a lucky reciever of your teacup, so elegant and beautiful, and the things you added are so lovely. It is alwayes a joy visiting you and your wonderful blog. Tea Cup Tuesday-Exquisite Cups to Dream About! 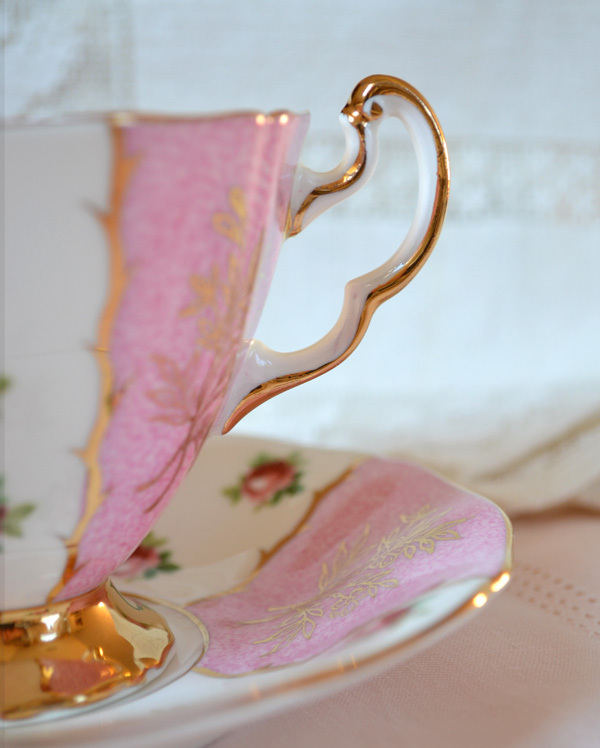 Tea Cup Tuesday-Favorites...short and sweet!